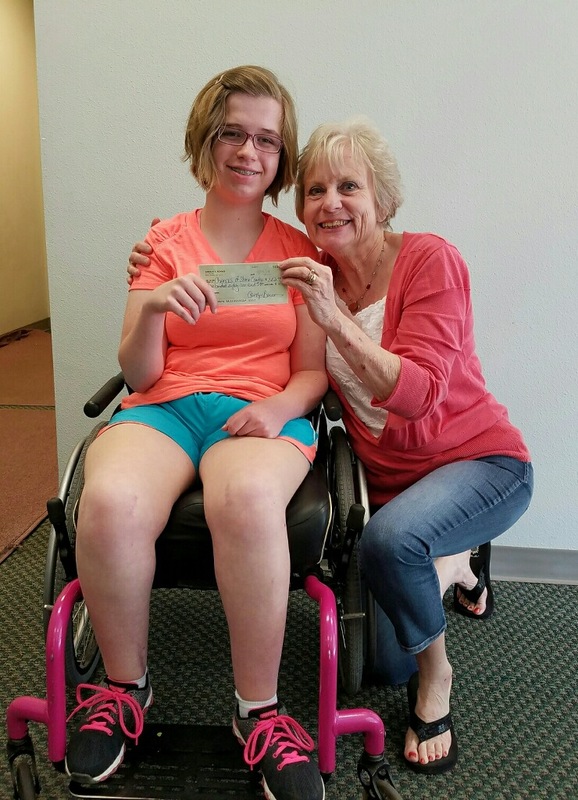 For the non-profit CHANCES of Stone County, helping developmentally disabled is a passion. Yet a couple of challenges always linger – namely, raising awareness and fundraising. 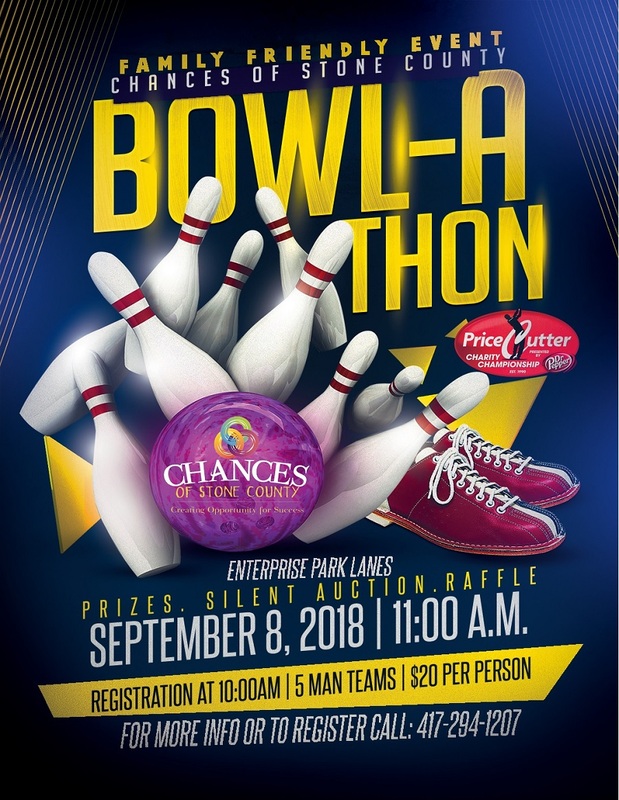 That’s why the non-profit is eager for Saturday, Sept. 8 as it hosts the CHANCES of Stone County Bowl-A-Thon as a way to help spread the word about the good it tries to do in the Ozarks. 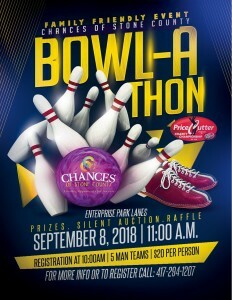 The event is set for a 10 a.m. registration and 11 a.m. start at Enterprise Park Lanes in Springfield and features a 50-plus item silent auction as well as a 50-50 raffle. 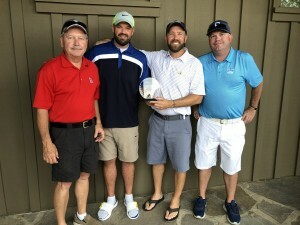 Call it a big endeavor for CHANCES of Stone County, which is among the 49 Ozarks children’s charities of the PGA Web.com Tour’s Price Cutter Charity Championship presented by Dr Pepper. That’s understandable, considering CHANCES of Stone County was formed as recently as 2009 by a group of parents with developmentally disabled children. The acronym stands for Community Helping Able Neighborhood Citizens Experience Success. It now has grown to group activities such as its M.A.D. 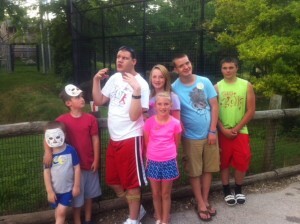 Saturdays where it provides music, art and dance therapies, which brings therapies and experiences to the whole family. Bus trips allow its families to experience the joy of travel and life outside of Stone County. Recently, CHANCES has rented a room to use as its new home, which will allow them organization to bring life skills and therapies to Stone County instead of families being forced to drive hours for assistance. 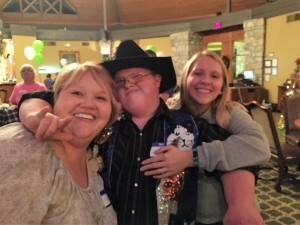 Additionally, CHANCES of Stone County has been supported through passage of state Senate Bill 40, the Stone County Developmentally Disability Board, in which a small percentage of property taxes go toward non-profits in Stone County. 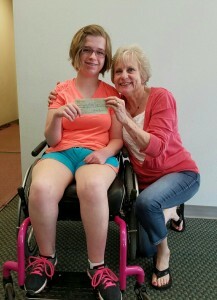 This year SCDDB was able to provide funding for Camp Barnabas, which CHANCES has done in the past. This freed up some money to be used in other areas. The non-profit also is in its sixth year with the PCCC. Still, fundraising is a key. That’s why the Bowl-A-Thon has a silent auction featuring numerous items. Eye Care Gift Certificate: Good toward an eye exam, a complete pair of eye glasses or contact lenses at Nixa Family Eye Care or Table Rock Family Vision. 2000 Missouri Sports Legend — Payne Stewart Artwork: Show off this in your collection, as it features the late Payne Stewart, a two-time U.S. Open and PGA Championship winner in golf. King’s Castle Theatre Gift Certificate: Two show tickets to any of the productions at the theater. Tripplite Surge Protector with Cables: 8 outlets, including three transformer outlets, safety covers, 10-foot cord wright-angle plug and more. 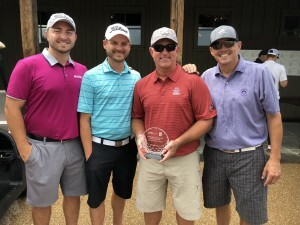 A Great Southern Bank-sponsored team took top honors in the Cardinals Care Pro-Am on Monday at Buffalo Ridge Springs Golf Course south of Branson. 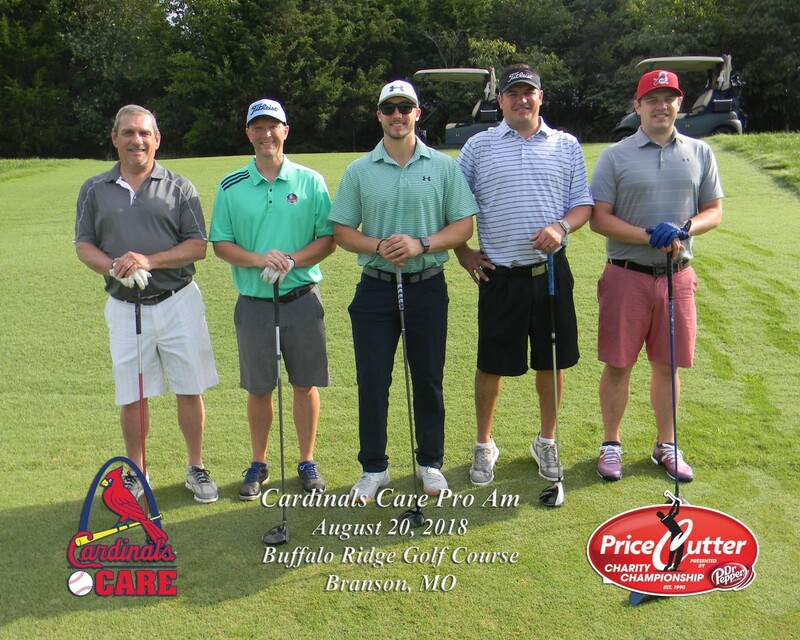 Great Southern Bank featured Springfield Cardinals prospect pitcher Anthony Shew along with Kris Conley, Scott Speight, Ross Chickering and Ryan Martin. The group fired a 56. Taking second place was CPI Technologies, highlighted by Cardinals prospect Jeremy Martinez. The team featured Erik Crane, Paul Tod, Ashton Glaser and Steve Nieman. The group fired a 57. 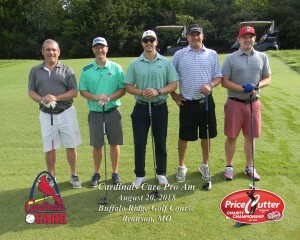 Empire Electric took third place and included Cardinals prospect catcher Andrew Knizner. 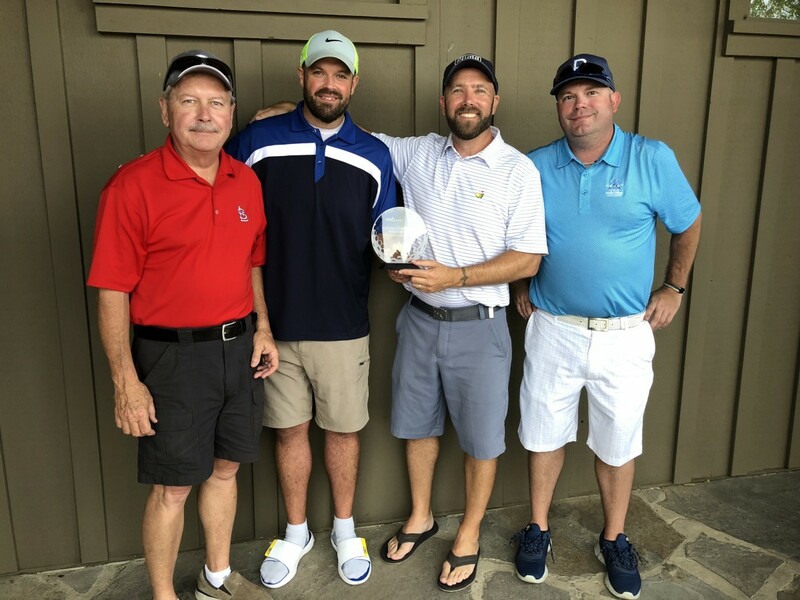 The team featured Rodney Rice, Kent Hayes, Daniel Rice and Brian Rice and carded a 58.